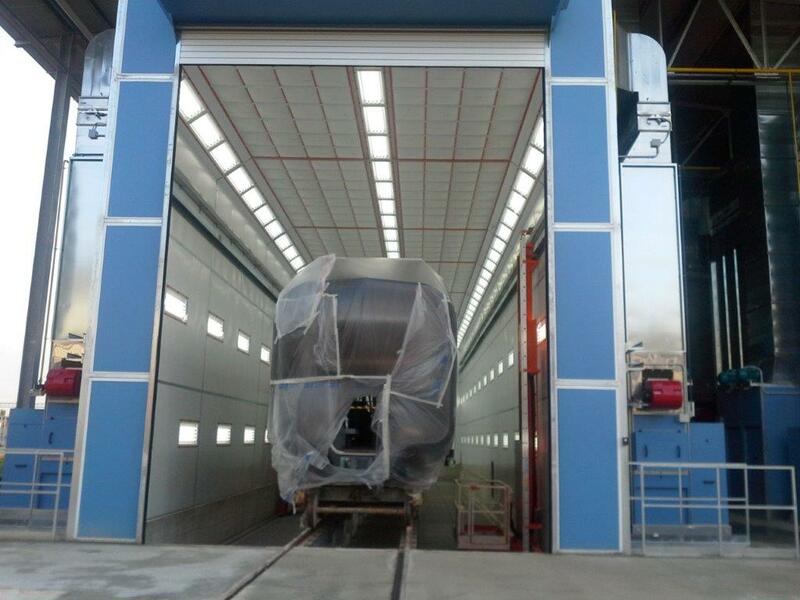 *Remember all specifications can change at any time at the discretion of the manufacturer. This data is strictly informational and can’t be applied for all paint booth applications. 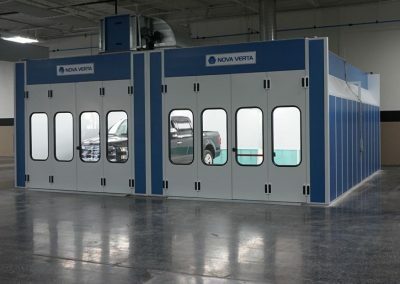 Nova Verta is known for authentic craftsmanship and innovative design. 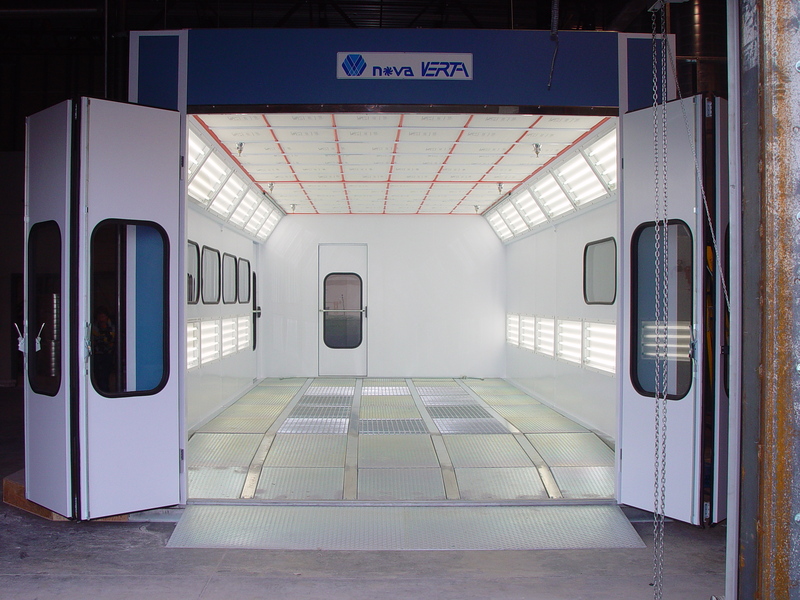 No matter if you are painting trucks or large equipment like rail cars or planes, Nova Verta’s versatile Maxi-Range Truck Spray Paint Booth can be configured to meet your needs. 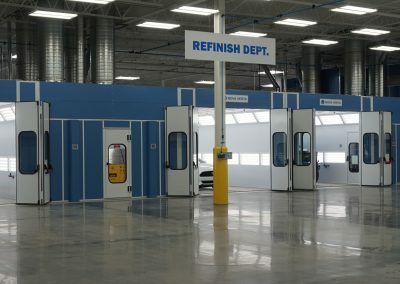 With a full range of solutions, you can meet your goals in the short or long run whether it be creating a safer environment, achieving a smoother finish, reducing operational costs or maintaining energy efficiency for your finishing system. 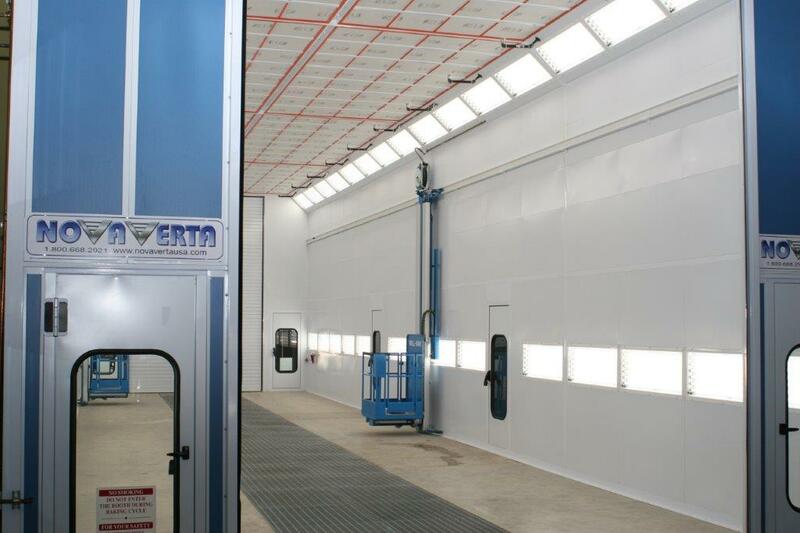 The secret to a structurally sound paint booth is in the panel assembly. 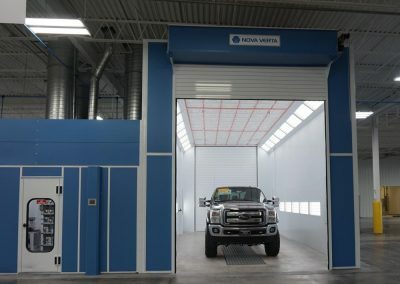 Nova Verta’s three-layered panels create a pre-coated, white, galvanized interior with two-inch slip in panel insulation, and a blue, galvanized steel exterior. 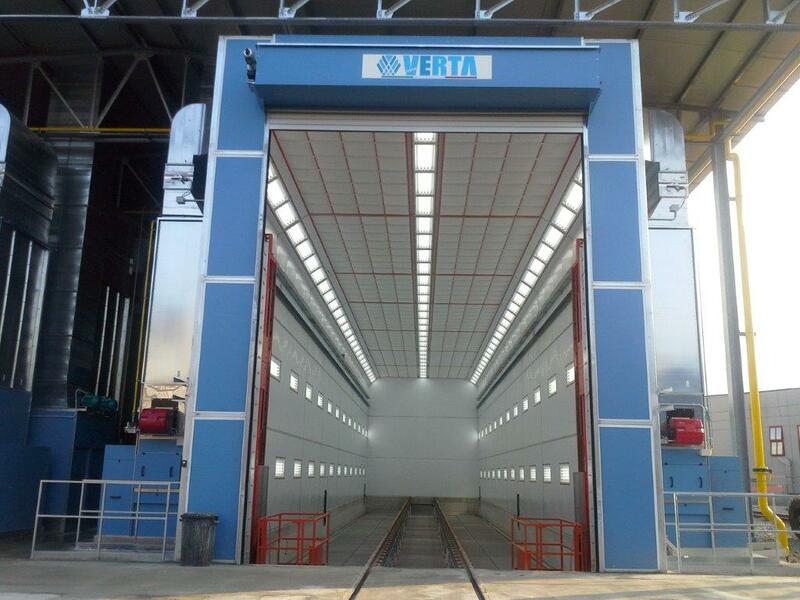 Nova Verta has the most rigid design in the industry using nut & bolt assembly. 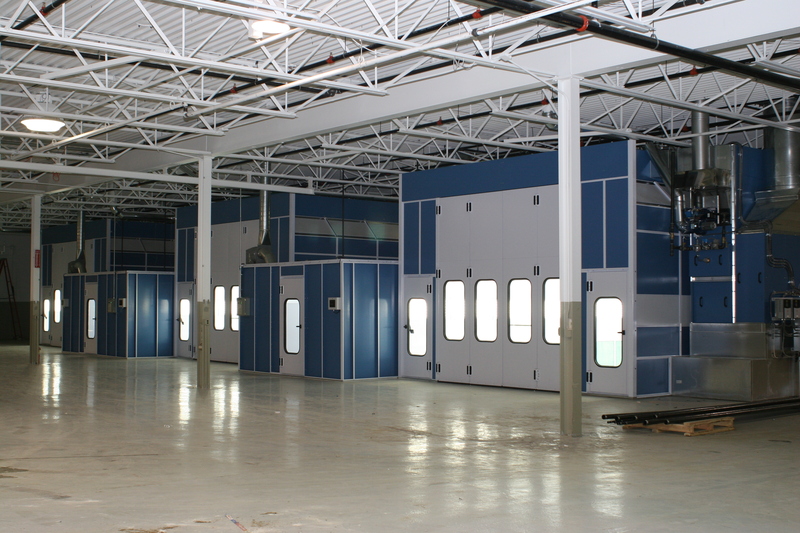 The booth panels attach to horizontal and vertical tubular steel framing. 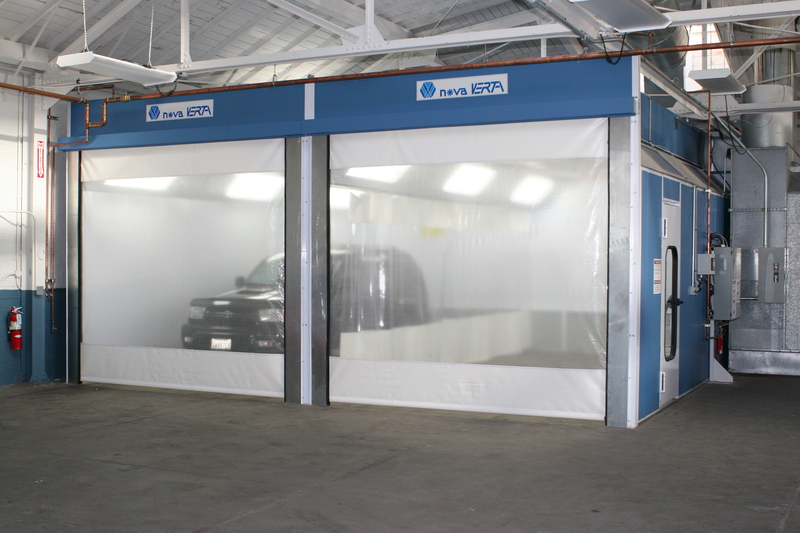 This panel assembly eliminates dirt-collecting edges that can lead to corrosion. 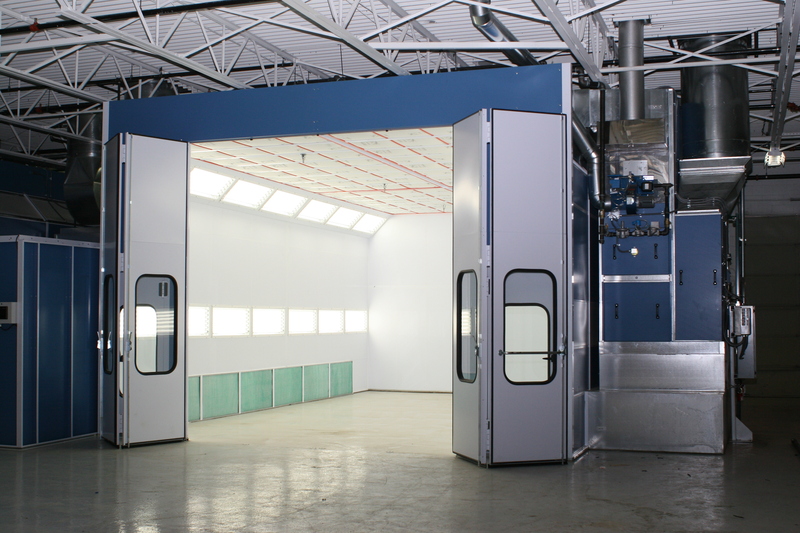 Each model meets or exceeds the most stringent code requirements from OSHA, NFC, IFC, NFPA, CEC, NEC, BOCA and local air quality controllers. 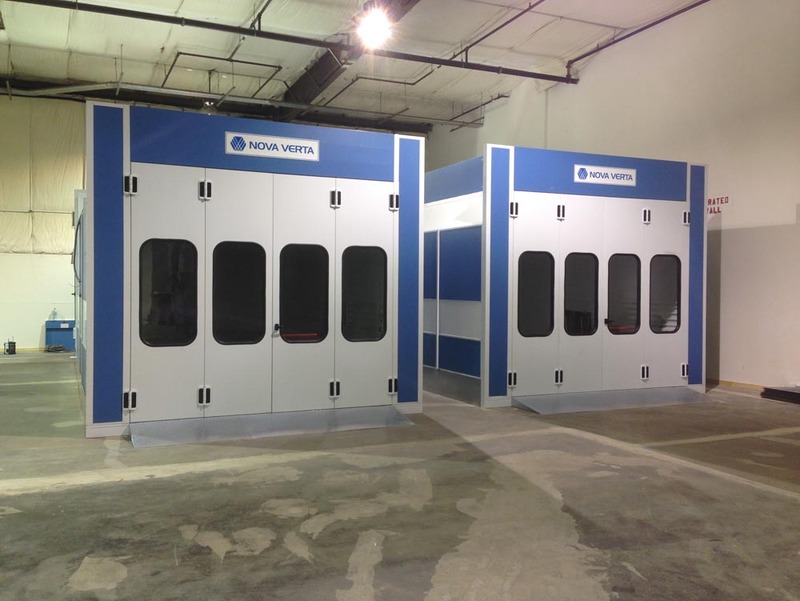 You have the freedom to choose the door placement you want for your Nova Verta booth depending on your work flow. 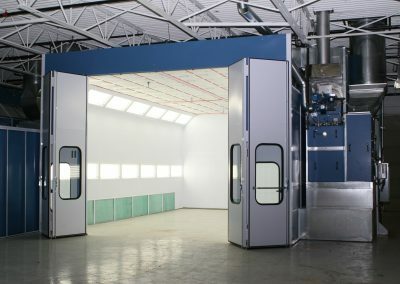 You have the options of drive through doors, electric roll doors, egress service doors on the side, rear or front, and side wall viewing windows for ease of operation. 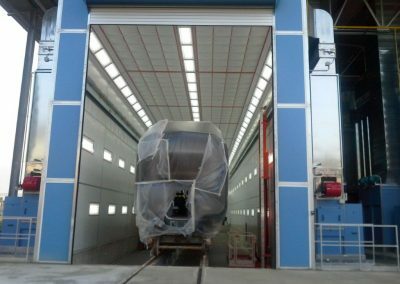 If you want to, you can divide the cabin with an electric roll door and install a control system that has the capacity to operate the booth as a single booth with the door open, or individually with the center door closed. The possibilities are endless! 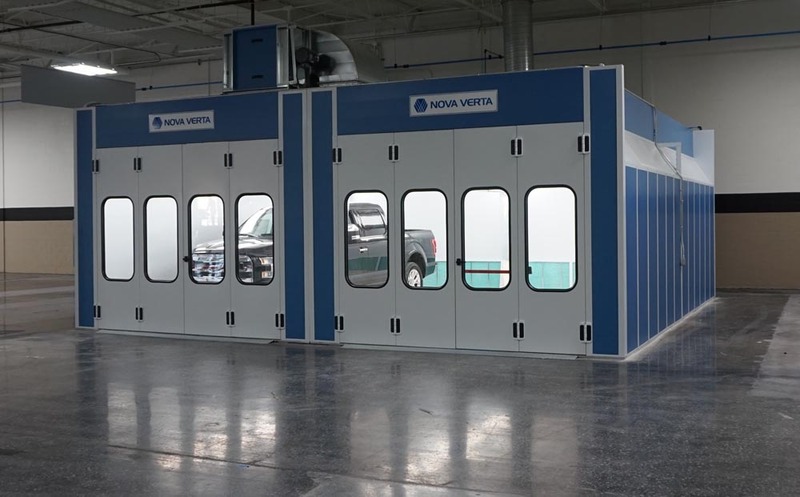 Nova Verta seals all their doors for a tight fit, so you don’t have to worry about the craftmanship affecting your booth pressure or airflow, which saves you energy in the long run. Whatever your application, Nova Verta booths have the capacity to accommodate most any lighting configuration you want so that you can have overall illumination with no shadowing. Multi-voltage, energy efficient ballasts are the standard, and they are available with the option of four or six light tubes. 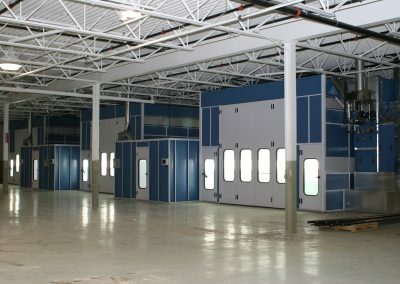 They can be installed horizontally on wall panels and/or at hip angles. All fixtures are Class 1 Division 2 with inside access and wiring harnesses using T-8 tubes with a 98-color rendering index for optimum color matching. 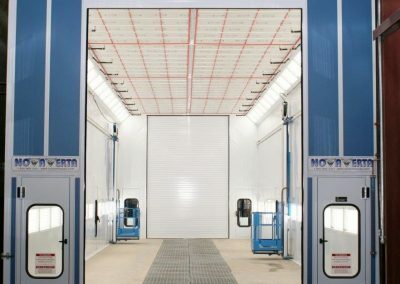 Since waterborne paints are widely used in the industry, maintaining proper airflow is more integral than ever for high performance results. 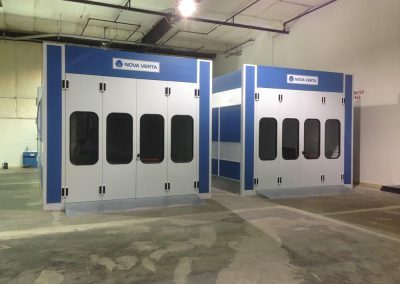 Nova Verta’s modular make up air systems employ variable frequency drives (VFDs) to balance downdraft airflow models. 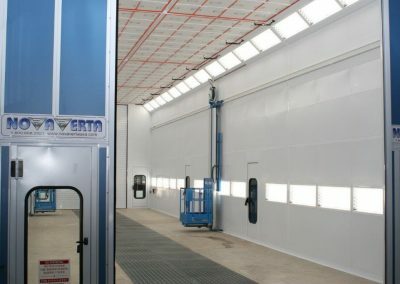 Monitoring VFDs aids in controlling air speeds, balancing paint booth cabin pressure, reducing air turbulence and achieving cleaner paintwork to avoid cutting and polishing. 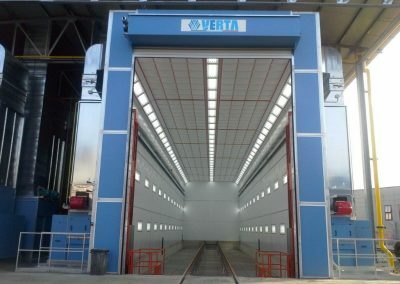 Nova Verta’s airflow systems work with indirect or direct fired burners. 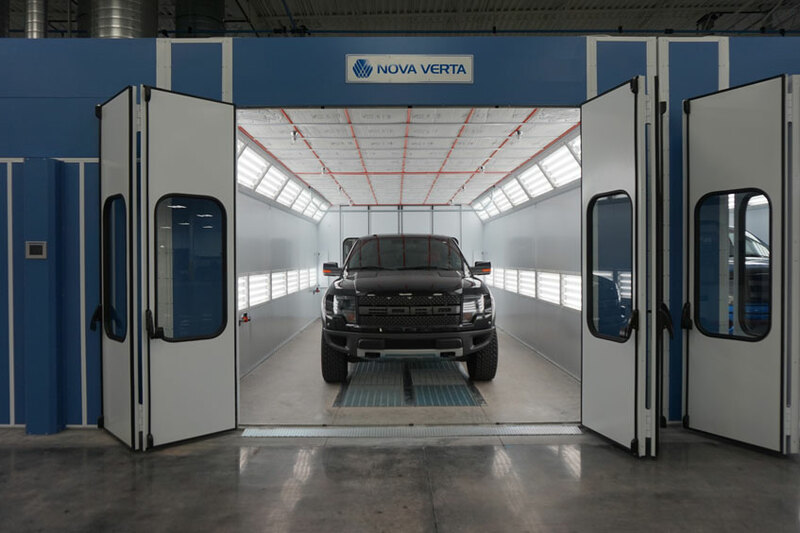 Nova Verta offers indirect-fired for prep, paint and cure cycles. 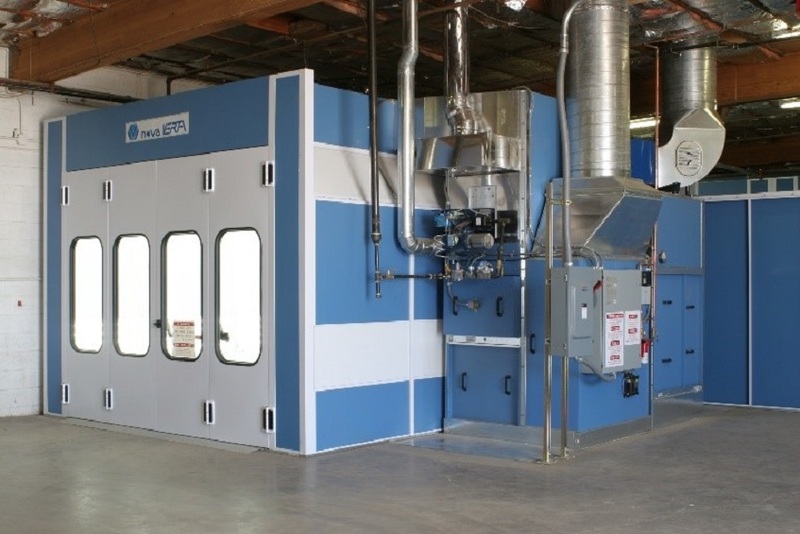 The indirect-fired option recirculates 90% of the heated air without exposing operators to carbon monoxide in the prep and cure cycles. 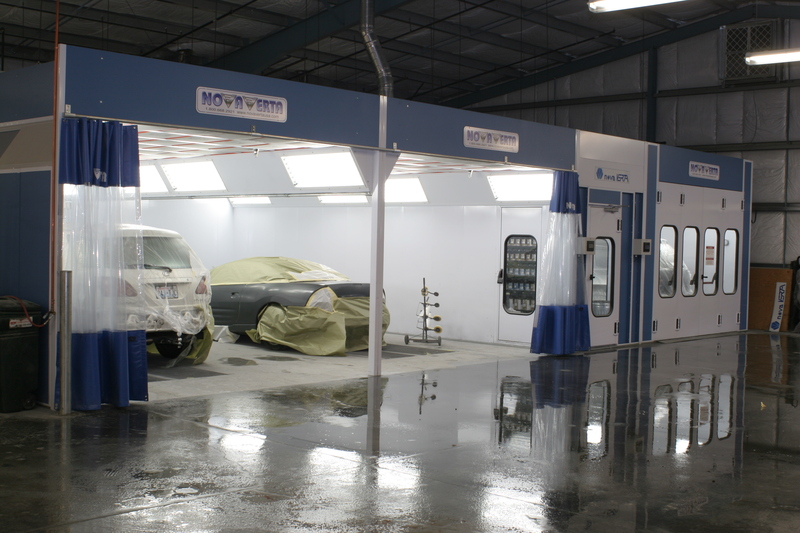 Recirculating air means you use about 90% less fuel and about 50% less electricity, and since indirect fired solutions have lower humidity output, waterborne paints will dry more quickly. 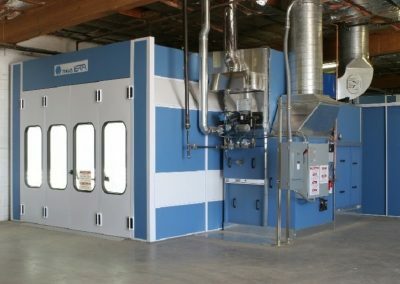 If you are looking to conserve energy in the short run, the Maxi-Range Series features direct-fired solutions with the options to reduce air flow when no one is spraying and to recirculate 90% of the booth’s air while in cure mode so that you don’t require as much energy to heat your booth. 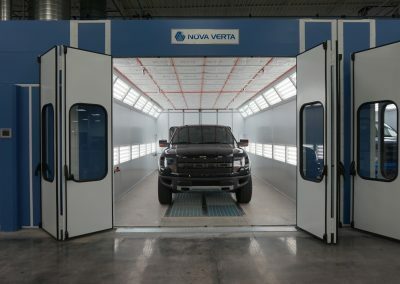 Nova Verta’s programmable controller makes booth operation practically intuitive, and you can choose from touch pad, monochrome touch screen or full color touch screen. 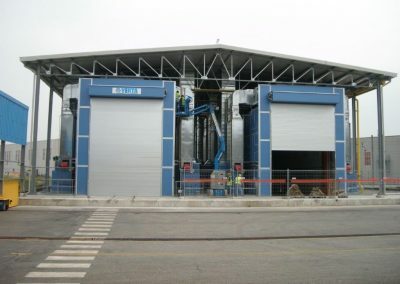 All systems employ automated booth pressure control by measuring VFD and have the capacity to self-diagnose technical issues so you can avoid as much down time as possible. 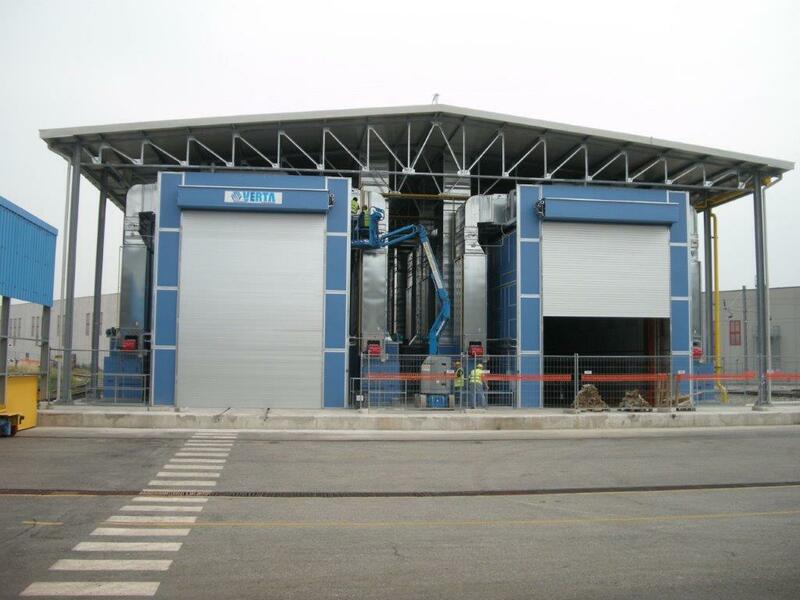 Factory pre-wiring gets you operational in no time at all. 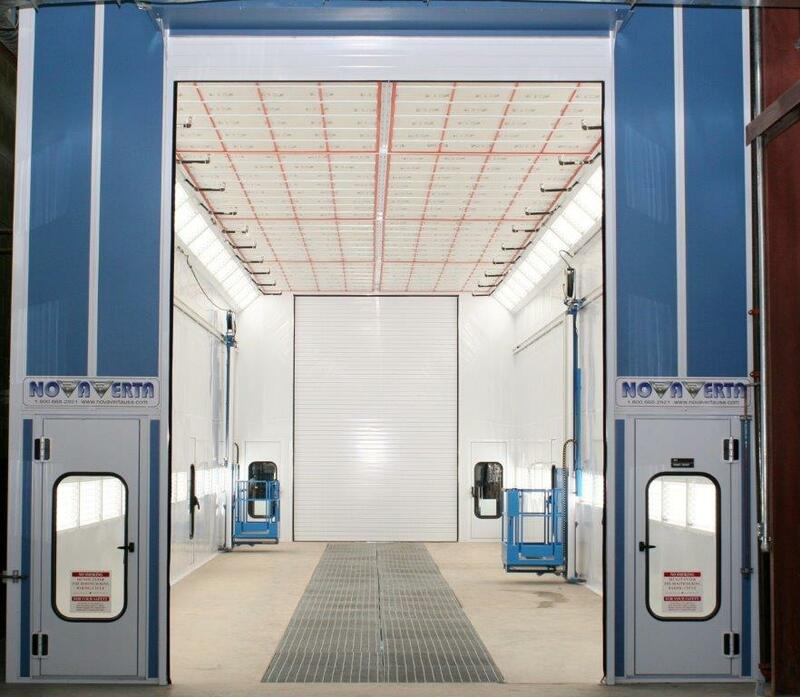 The control panel features pre-designed, color-coded and labeled wiring in Seal Tite conduit to all components. 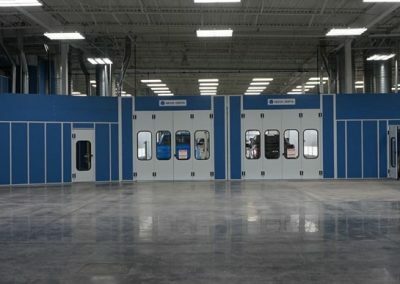 Avoid the headaches that come with intricate installation requirements—your booth comes with easy-to-follow installation manuals and color-coded and labeled wiring to aid in reducing set-up time and expense. 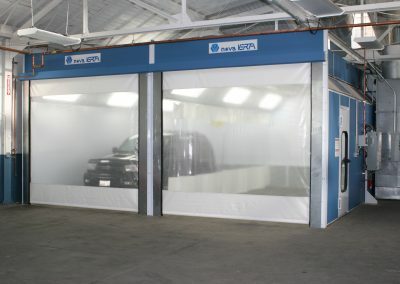 Nova Verta designs, manufactures and assembles all paint booths with integrity, attention to detail and with only the most durable materials, so you save money from start to finish: it takes less time and man power to install the booth, it requires less energy to operate the booth, and since the airflow is easily adaptable to water-based or solvent paint spray conditions, the production potential is endless for any booth model.